Every Thursday, I have a specific list of tasks I have to do. But the 3rd Thursday always includes a wonderful evening with a group of gals I love crafting with. I've been crafting with them for 12 years, always on the 3rd Thursday of the month. It's a good hour away but worth every minute spent in traffic. 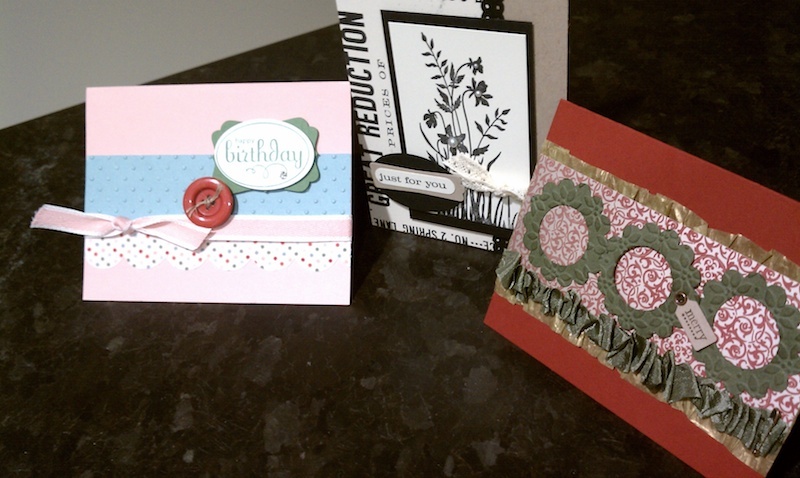 Cards we made tonight, demo'd by Tami. 12 years! That's inspiring and amazing!